CHALET EN ZONA RESIDENCIAL DE 180 M2, CON TRES DORMITORIOS, DOS BAÑOS COMPLETOS, ASEO, SALON COMEDOR CON CHIMENEA, COCINA CON OFFICE, AIRE ACONDICIONADO CON BOMBA DE CALOR. 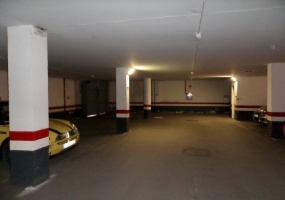 GARAJE PARA DOS COCHES, CLUB SOCIAL, PISCINA, PADEL. APARTAMENTO DE 53 M2, SALÓN COMEDOR, COCINA AMERICANA AMUEBLADA CON ELECTRODOMÉSTICOS, CUARTO DE BAÑO COMPLETO CON PLATO DE DUCHA, DORMITORIO INDEPENDIENTE CON ARMARIO EMPOTRADO. EDIFICIO RESIDENCIAL MADRID CONSTA DE 14 VIVIENDAS Y TRES LOCALES EN AVENIDA PRINCIPAL DE SAN AGUSTÍN DEL GUADALIX. -ESTUDIOS -APARTAMENTOS -VIVIENDAS DE DOS DORMITORIOS, DOS BAÑOS COCINA, SALÓN COMEDOR. -CON TERRAZA Y SIN TERRAZA. EN PRIMERA Y SEGUNDA PLANTA. ASCENSOR Y TRASTERO PARA TODAS LAS VIVIENDAS. DESDE 115. PISO 120M2, CON TRES DORMITORIOS, DOS BAÑOS COMPLETOS, SALÓN COMEDOR CON TERRAZA CERRADA, COCINA AMUEBLADA CON TODOS LOS ELECTRODOMÉSTICOS Y TERRAZA LAVADERO. PRIMERA PLANTA, ASCENSOR, DOS PLAZAS DE GARAJE Y TRASTERO. ZONAS COMUNITARIAS CON PISCINA. SE ALQUILA SIN AMUEBLAR. MUY BUENA SITUACIÓN, MEJOR VER. NOS DISPONIBLE HASTA EL 01 DE MARZO. VIVIENDA 118 M3, CUATRO DORMITORIOS, DOS BAÑOS COMPLETOS UNO CON DUCHA Y OTRO CON BAÑERA, SALÓN COMEDOR MUY AMPLIO CON TERRAZA, COCINA AMUEBLADA CON ELECTRODOMÉSTICOS. AIRE ACONDICIONADO. GARAJE ABIERTO. PISCINA, ZONA DEPORTIVA. PISO 66 M2, DOS DORMITORIOS CON ARMARIOS EMPOTRADOS, BAÑO COMPLETO CON BAÑERA, SALÓN COMEDOR, COCINA AMUEBLADA CON ELECTRODOMÉSTICOS Y SALIDA A UNA TERRAZA. TRASTERO Y GARAJE. VIVIENDA PISO BAJO, 80 M2 + TERRAZA DE 9 M2 EN URBANIZACION CON PLAZAS DE GARAJE EXTERIORES. 3 DORMITORIOS, SALON COMEDOR CON CHIMENEA, BAÑO COMPLETO CON BAÑERA, COCINA AMUEBLADA. A REFORMAR. CHALET UNIFAMILIAR DE 167 M2, CON PARCELA DE 1150 M2, 3 DORMITORIOS, BAÑO COMPLETO, SALON COMEDOR CON CHIMENEA, COCINA AMUEBLADA Y TOTALMENTE REFORMADO, PARA ENTRAR A VIVIR. CASA DE PUEBLO 100 m2 CON PATIO, VIVIENDA EN DOS ALTURAS MAS BUHARDILLA DE 18 M2. EN LA PLANTA BAJA ENCONTRAMOS SALON, COCINA AMUEBLADA CON OFFICE, BAÑO COMPLETO CON DUCHA Y UN DORMITORIO, Y EN LA PRIMERA PLANTA DOS DORMITORIOS UNO DE ELLOS CON TERRAZA, BAÑO COMPLETO. ADEMAS DE TRASTERO ALMACEN, CUARTO CON CALDERA DE GASOIL. SUELO URBANO EN AVENIDA PRINCIPAL DE SAN AGUSTÍN DEL GUADALIX CON 481 M2 PARA CONSTRUCCIÓN DE LOCALES Y VIVIENDAS EN TRES ALTURAS. 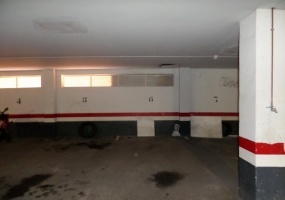 V 4667 LOZOYUELA, VENDE GARAJE 41 M2 CON PATIO 14 M2 Y SUELO DE 93 M2. GARAJE 41 M2 CON PATIO 14 M2 Y SUELO DE 93 M2, OPCIONAL COMPRA PISO 95 M2, 2ª PLANTA , TRES DORMITORIOS, SALON, COCINA, BAÑO COMPLETO Y TERRAZA CON VISTAS A LA MONTAÑA. V 4666 LOZOYUELA, VENDE PISO 95 M2, 3 DORMITORIOS. PISO 95 M2, TRES DORMITORIOS, SALÓN-COMEDOR, COCINA CON TERRAZA LAVADERO, BAÑO COMPLETO, AMUEBLADO. TERRAZA CON BUENAS VISTAS. OPCIONAL COMPRA TERRENO CON GARAJE Y PATIO (45. V 4645, SANTO TOME DEL PUERTO , VENDE CASA DE PUEBLO DE 154 M2. CASITA DE PUEBLO DE 102 M2, PAJAR DE 52 M2 CON PATIO PRIVADO, CON 3 DORMITORIOS, 1 BAÑO COMPLETO, SALÓN COMEDOR, TOTALMENTE EXTERIOR, COCINA CON ZONA DE OFICCE Y CHIMENEA, MARAVILLOSO LUGAR. HUERTO DE199 M2. PARCELA URBANA DE 1.406 M2 SITUADAS EN URB. LAS CABEZAS, VILLAVIEJA DE LOZOYA, PARCELA URBANA CON TODOS LOS SUMINISTROS. PARCELA, CON PENDIENTE SUAVE Y CON UNAS INMEJORABLES UBICACION. UNIFAMILIAR EN PARCELA DE 972 M2, VIVIENDA CON 2 DORMITORIOS, BAÑO COMPLETO, SALÓN COMEDOR, COCINA CON TODOS LOS ELECTRODOMÉSTICOS, PORCHE, JARDÍN CON POZO, MARAVILLOSAS VISTAS. 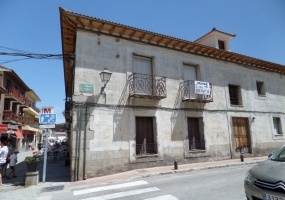 EDIFICIO AÑO 1900, EN CENTRO DE BUITRAGO, SUPERFICIE DE SUELO 459 M2, CONSTRUIDOS 580 M2 EN VIVIENDA Y 221 M2, ALMACEN, PATIO INTERIOR, 10 DORMITORIOS, 2 COCINAS, 2 SALONES, DOS BAÑOS COMPLETOS. IDEAL PARA REHABILITAR. UNIFAMILIAR DE 240 M2, CON TRES DORMITORIOS TIPO SUITE, TRES BAÑOS COMPLETOS, DOS SALONES, TRES CHIMENEAS, PRIMERAS CALIDADES, PRECIOSAS VISTAS, BARBACOA, PARCELA DE 250 M2. V 9014 SAN MAMES, URB. 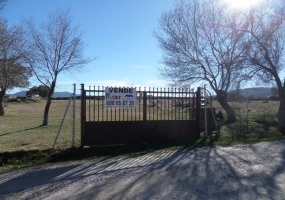 EL GAMONAL, VENDE PARCELA RUSTICA DE 2500 M2. PARCELA DE 2.500 M2 SITUADAS EN URB. V 9006 SAN MAMES, URB. EL GAMONAL , VENDE PARCELA RUSTICA DE 2500 M2. PARCELA RUSTICA DE 2500 M2, VALLADA CON PUERTA DE ENTRADA, AGUA, LUZ, PENDIENTE SUAVE, UBICADA EN EL PUEBLO DE SAN MAMES URBANIZACIÓN EL GAMONAL. MARAVILLOSAS VISTAS. DOS PARCELAS, UNA URBANA DE 2.471 M2 PARA CONSTRUIR 9 CHALETS CON PARCELAS DE 250 M2, INCLUIDO EN EL PRECIO UNA PARCELA RUSTICA DE 1.565 M2, (ESTÁN JUNTAS), UBICADAS EN MANGIRON . V 9023 LOZOYA DEL VALLE, VENDE PARCELA URBANA DE 563 M2. PARCELA URBANA DE 563 M2 EN LOZOYA DEL VALLE, IDEAL PARA CONSTRUIR UN CHALET UNIFAMILIAR , DE SUPERFICIE PLANA, MEJOR VER. V 9022 LOZOYA DEL VALLE, VENDE PARCELA URBANA DE 458 M2. V 9021 PEDREZUELA, VENDE SOLAR URBANO DE 50 M2. SE VENDE PLAZA DE GARAJE, EN SAN AGUSTIN DEL GUADALIX. PLAZAS DE GARAJE EN DIFERENTES ZONAS DE SAN AGUSTÍN DEL GUADALIX, CON PUERTA AUTOMÁTICA, MANDO, O EN ALGUNAS CON ENTRADA PEATONAL. DESDE 50 € MES,.